Considering continuing or completing your degree? Join us for an Open House for Adult Studies. Learn how you can now earn your bachelor's degree in as few as 12 months through Simpson University's ASPIRE degree-completion program. Enjoy great food in a casual atmosphere, chat with current students, staff and alumni, and review your financial aid opportunities. Time – 5 - 6 p.m. If you have any questions or for more information, please contact us at (530) 224-5600. 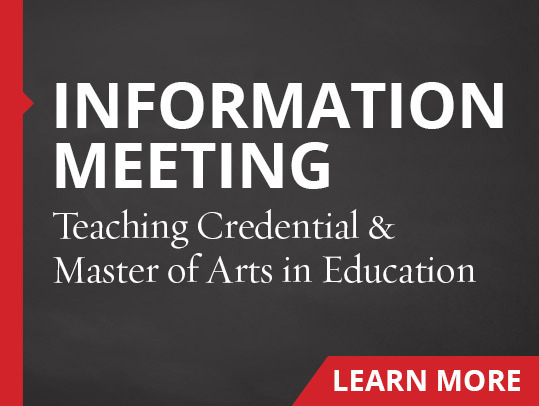 An information meeting is a free event where you will have the opportunity to learn more about the program, meet the dean, speak with an admissions counselor, and talk with alumni and current students. If you have any questions or for more information, please contact us at gsadmissions@simpsonu.edu or (530) 226-4527.